What do Ivanka’s India trip and America’s new start up visa have in common? The result of both was the same – unexpected. From the new to be Princess of the Royal corridors of Great Britain, to the existing Princess of America – the world saw plenty of dramatic feminist oriented narratives across the news and social media channels. But a game changer appeared and the discussion veered towards an entirely old territory – entry into the United States of America. Would Ivanka’s India trip have turned out any differently (as in, not happened at all), if America’s new start up visa had arrived a few weeks earlier? That is a question very few will be able to answer – and for many, America’s new start up visa has been an answer for many prayers. 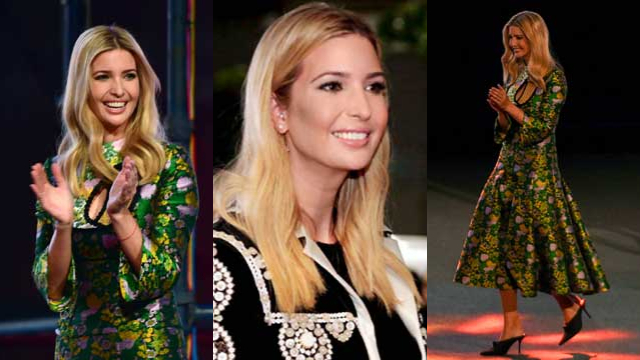 But before that, here is a round up of Ivanka’s trip – mired as it was with controversy, and ill timed as it was with America’s new start up visa judgement. Because even before she happily landed back on the lawns of the White House, there was an even bigger pearl infused elephant waiting for her, after her trip to the city of pearls, Hyderabad. America’s new start up visa was hand delivered, wrapped in shiny paper that would no doubt make the POTUS squint. As if getting his hand swatted away in full media glare was not enough, now his own justice system is keen to swat away his immigrant barring tactics as “unlawful” too. These two landmark events – Ivanka’s India trip and America’s new start up visa – have pretty much left little to the imagination. The drama was all over the news with everything from her fashion sense to a plagiarized speech. This enterprising princess was in town to show her support for the entrepreneurial spirit in general, and women entrepreneurs in particular. Now, this had many irate women’s empowerment outfits seething. In fact many of them openly said that Ivanka is the absolute wrong mentor and icon for such a forum which was primarily based on women’s rights – aptly called Women First, Prosperity for All. Why? Because Ivanka’s brands apparently do not sign on any dotted line that says they owe better and more optimal working conditions for their female (and other) employees. Further, the world has never spared a chance to extoll the virtues of her father’s women bashing remarks and anti feminist stance. Her India visit was in fact beamed across news channels with parallel reports and scrolling headlines of much banner burning antics in this regard. But, wait – there was more. Apparently, much of her speech was also plagiarized from her own Tokyo speech – a tour where the planned events reportedly saw a very small and dismal turnout. Which made many wonder – has women’s empowerment reached Japan first? Is that why they dismissed such a so called mascot? And as if all this controversy was not enough, the Nizams’ progeny were calling the Modi Government out for leaving them out of the longest table in the country where this Princess of USA was to be hosted. And beggars across the city of Hyderabad (including a green card holder and MBA graduate) complained of being shoved under the rug. The beggars have been dutifully returned to the streets. Not much noise from the Nizam’s grandson either. Of course in the middle of all this, we all chose to focus on more important things – like Ivanka’s Aadhaar card application. The UIDAI helpfully pointed out how she was not eligible and the whole world had a good laugh. Wonder how many of those faces in White House are now laughing after America’s new start up visa judgement. But none of this mattered because there were more important matters to be discussed. In what seemed like a hasty hangover inspired wardrobe straight from the Orient Express, she was also accused of not catering to an Indian look. Starting from the black Pearl encrusted jacket, which fell at just the right Mulan-esque length, to the green frock that could not decide whether it wanted to be formal or casual – especially with that convoluted neckline which seemed to have thrown up all over its own structured and abstract fashion goals – and the flaming, fiery red dress that borrowed heavily from delicate Chinese looking detailing; there seemed very little of India or global fashion in what she chose to wore. Her white and green Anarkali also seemed like an after thought following this heady display of nonchalance towards the host country. Now why would she bring in such insipid outfits when she actually had her choice of designers and their ware? She obviously had enough time because she did not have a whole new speech to write – right? And more than anything else – what on Earth happened to power dressing? This was the question most memes are now asking. But those memes just got louder as of yesterday when a landmark judgement was passed. The judge in this case delivered a masterstroke in favour of the irate entrepreneurs (including an Indian businessman) who had filed a motion against the stalling of the Obama initiated Start Up Visa – the IER or International Entrepreneurial Rule. Now, entrepreneurs can register a business in the US, live there for 30 months and gain funding as well, in a bid to bring employment and earning opportunities to the US economy. 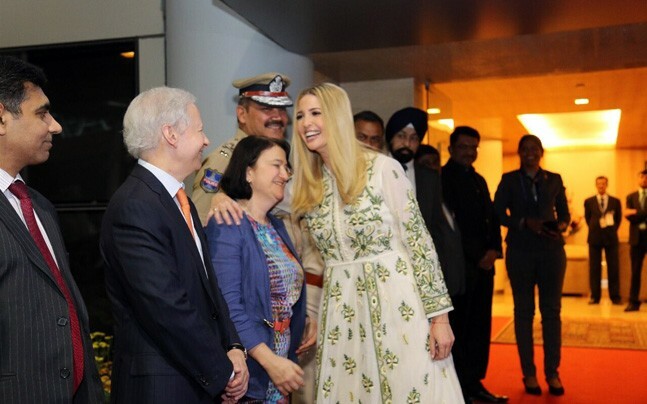 This has prompted meme crafters to turn out in full force, and ask a new, pertinent question – would Ivanka have come to India to encourage entrepreneurs if the Trump administration knew what was in store for the entry of immigrants? So what does America’s new start up visa mean? It has basically followed a judgement that states the stalling of such a visa or rule as unlawful. And it helps budding entrepreneurs enter the country and stay there for a sizable amount of time. But, more importantly, it also means that the US homeland authorities will now have to find a way to filter the genuine cases from the H1B rejects who have little to do with entrepreneurship. Tough call, much? America’s new start up visa or the IER is an important one because it matches the history of America’s endeavours to help people set up profitable entrepreneurial ventures across the length and breadth of the country. The judgement ensures that deserving parties get to become a force within the American economy with America’s new start up visa. If facts are to be believed then almost half the billion dollar ventures in USA have been set up by immigrants (44 out of 87) and close to a dozen are owned by Indian entrepreneurs. Is this ruling a renewed effort to bring in an entrepreneurial spirit from around the globe, or is it simply an answer to the opening up of Canadian immigration doors? Time will tell. As of now, it looks like Ivanka has been busy giving speeches on entrepreneurship, while Canada has quietly started to produce billionaire after billionaire. Until then, let the Ivanka/Immigration/Entrepreneur Rights/Women’s Rights jokes follow.